Will the last one to leave please turn out the valot? Symbian's fall from dominance is a tale about which books can (and should) be written. 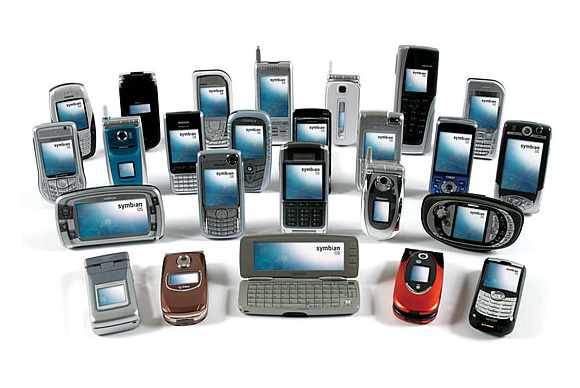 Its origins date to the '80s, but as of 1998, Symbian's existence was formalized when an old PDA company, Psion, changed its name to Symbian and took funding from the major phone manufacturers at the time, including Ericsson and Motorola, to become the official caretaker of the rising mobile OS. What killed Symbian? Complexity, according to Nokia. But Nokia has always been Symbian's biggest supporter. The company produced millions of phones running the OS, and the two have always had close ties. Together they dominated the cell phone market throughout the early 2000s; in fact, Symbian remained the top-selling smartphone OS worldwide until late 2010. That abrupt reversal of fortune was due to a couple of factors: First, the rise of Android and iOS as the dominant phone OSes, sought-after by consumers dropping simplistic handsets in favor of smartphones. Second, Nokia's fall from grace (for much the same reason), along with its fateful 2011 decision to jump into bed with Microsoft and the Windows Phone OS. At that point, the only remaining Symbian backer (and the main contributor to the Symbian code base) said goodbye to the OS, and the writing was on the wall for what would happen next. Today, Symbian is actually maintained by Accenture, a management consulting company, to which Nokia outsourced development (and shipped off thousands of employees) in 2011. Accenture is supposed to maintain the OS through 2016. So, what killed Symbian? Complexity, according to Nokia. In reports, the company blamed Symbian's difficult and unfriendly code structure for the extended time it takes for a phone using that OS to be developed. BGR quotes a Nokia spokesperson complaining that a typical Symbian handset required 22 months of development time, compared to less than a year with Windows Phone. In today's environment, when markets are made and lost in a matter of weeks, that just won't fly. That said, support agreements tend to be fluid, especially with a product like Symbian that is now effectively off the market. While there's no sign that Symbian support activities are likely to shut down in the near future, it might be a good idea to accelerate any mobile migration plans just in case.